Sometimes you just don't feel like wearing foundation. I finished the Maybelline three-week Better Skin Challenge a few weeks ago and I sure do not want to wear foundation again for a lil bit. However, that does not mean I won't be wearing makeup. It definitely doesn't mean I'm going out in the sun without sun protection on my face. When I don't want to wear a foundation but still want to feel the sun on my face, I opt for a tinted moisturizer usually. 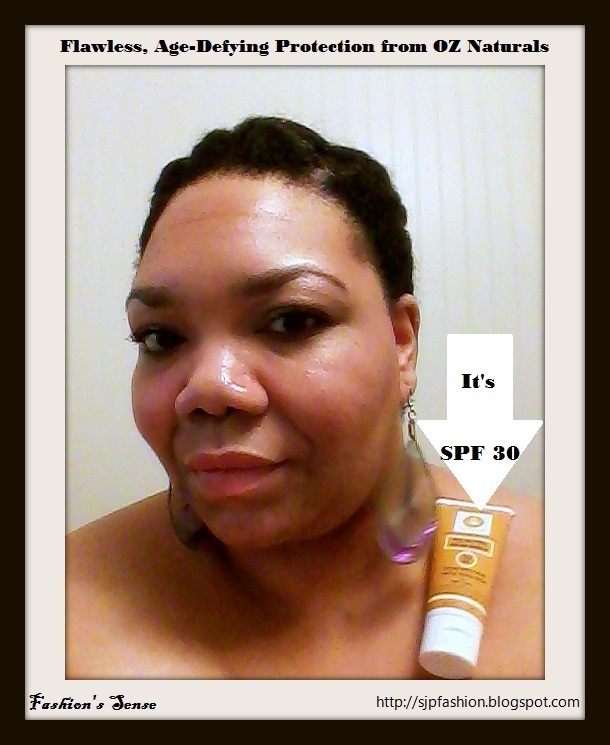 Many of the ones I've used on come up to SPF 15 or 20. However, I tend to wear SPF 30 or higher on my body. I've always wondered if I am doing my face a disservice by not wear a higher SPF on it. I recently had the opportunity to try out Age Defying Solar Shield from OZ Naturals. 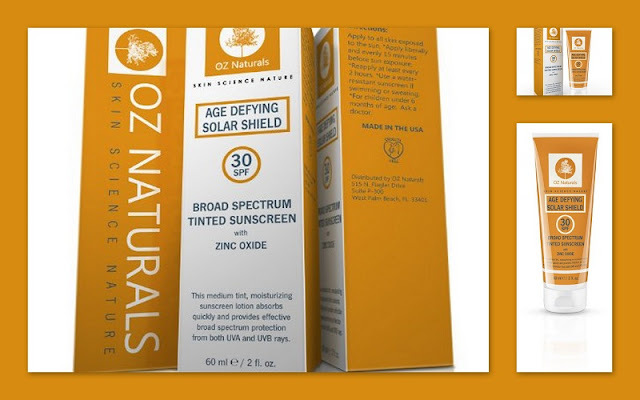 It is a broad-spectrum tinted sunscreen with zinc oxide that is SPF 30. It is a medium-tint formula that also acts as a moisturizer. You can apply to both your face and body. I tend to apply it to my face, neck, ears, shoulders, and décolletage. Even when I wear foundation, I still apply it to my shoulders and décolletage if they are exposed. As I mentioned before I finished the three-week Maybelline Better Skin Challenge via Influenster. I am impressed with the foundation. It protects and improves skin's appearance. The noticeable difference for me was the healing of acne scars. The foundation sped up fading time. Now I consider Maybelline's Better Skin Foundation as a part of my skincare regime for makeup days. Summer is ending but you still need to protect your skin. How do you plan to flawlessly protect your skin for fall?